This Japanese only mini album is available on 12" vinyl EP, cassette and CD. 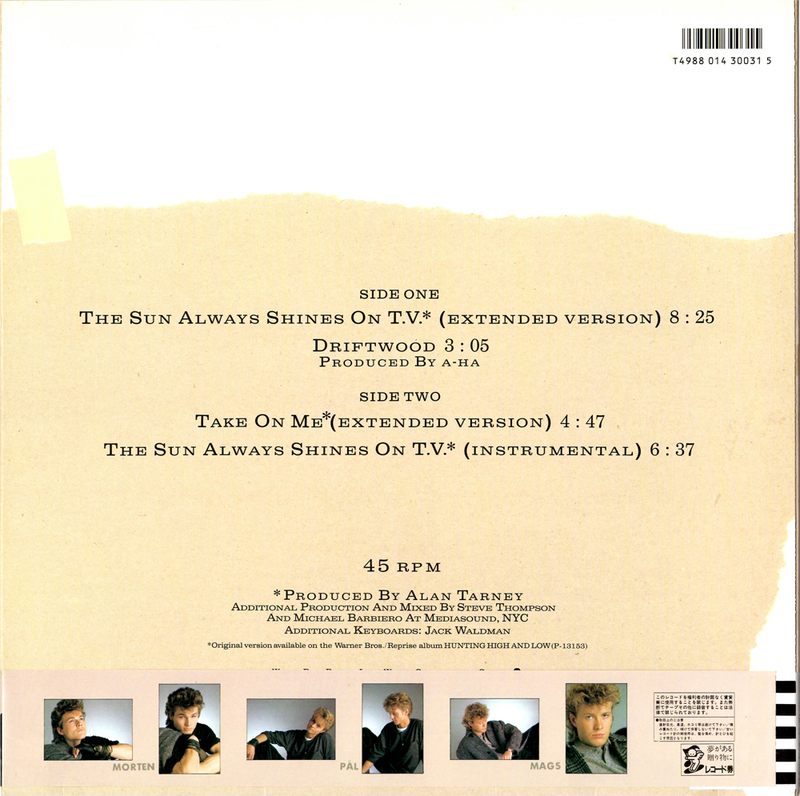 The cover (front and reverse) is similar to the cover of the USA 12" of "The Sun Always Shines On T.V.". There are at least 2 different pressings of the EP which come with obi-strips. The obi-strips differ slightly, the first (catalogue no. P-6228) is a similar colour to the bottom section of the album sleeve with text in red, black and white. 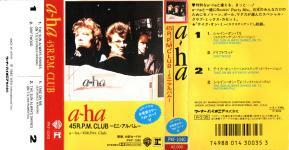 The bands faces are printed within the letters of the a-ha logo. The reverse of the obi features 2 colour shots of each of the band members. The second obi (catalogue no. P-6238) is light grey with red, black and white text. 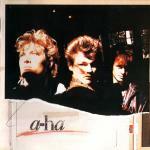 The a-ha logo is black and doesn't have band pictures printed within the letters. The reverse of the obi has pictures of the "Hunting High And Low" and "45 R.P.M." covers, information plus the Japanese tour dates. All text is in Japanese. 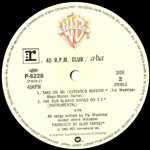 There were at least two pressings of the CD edition. The only difference between the sleeves seems to be a barcode printed in the top left corner of the reverse of the first pressing and the different catalogue numbers. 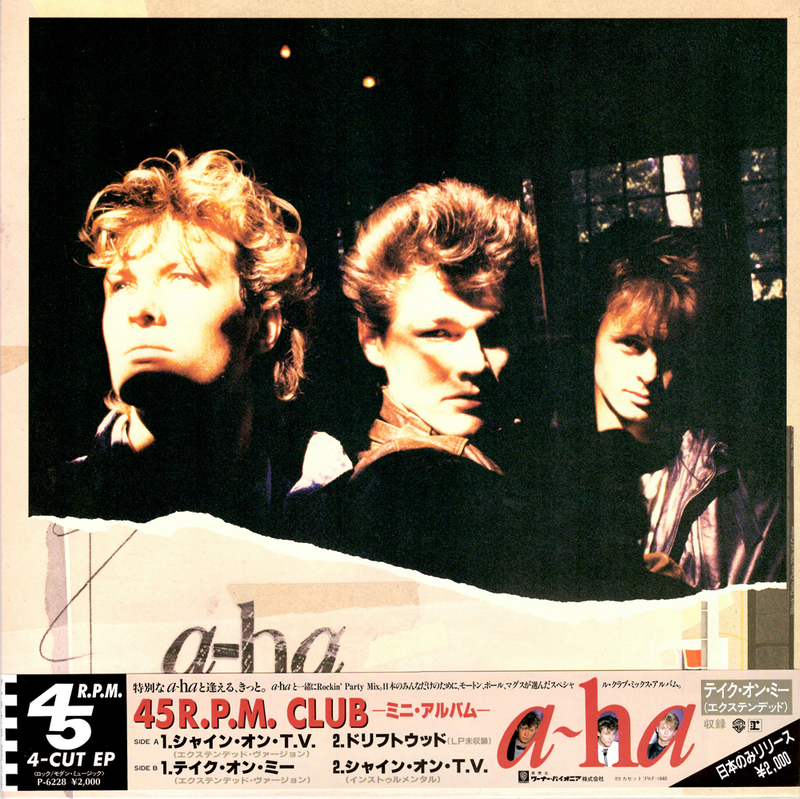 The first issue comes with a red `sticker' obi strip with white a-ha-logo and text whilst the second pressing has a more regular blue and white "Forever Young Series" paper obi strip. There are two slightly different "Forever Young Series" obi strips. They seem to be the same from the front, but the position of the obi-strip and catalogue number differs on the reverse. The CD has a 6 page booklet with lyrics and individual factfiles (in Japanese) plus colour pictures. The reverse of the booklet is khaki coloured with a colour group shot. The back insert has an a-ha logo with small individual pictures inside the letters. The CD is gold coloured with black titles, a red rim and Warner Brothers logo. The cassette has a yellow cover with one red spine and one yellow spine. The same picture as used on the LP and CD is positioned at the top of the sleeve with a large red logo below and other black text. The 'main' red spine has yellow titles where as the second spine includes a smaller version of the cover picture and titles in red and black. The 'reverse cover' is also yellow with black and blue text. 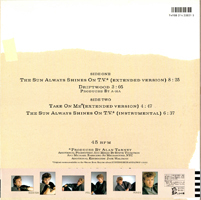 The four tracks on this mini album include the extended version of "The Sun Always Shines On T.V." 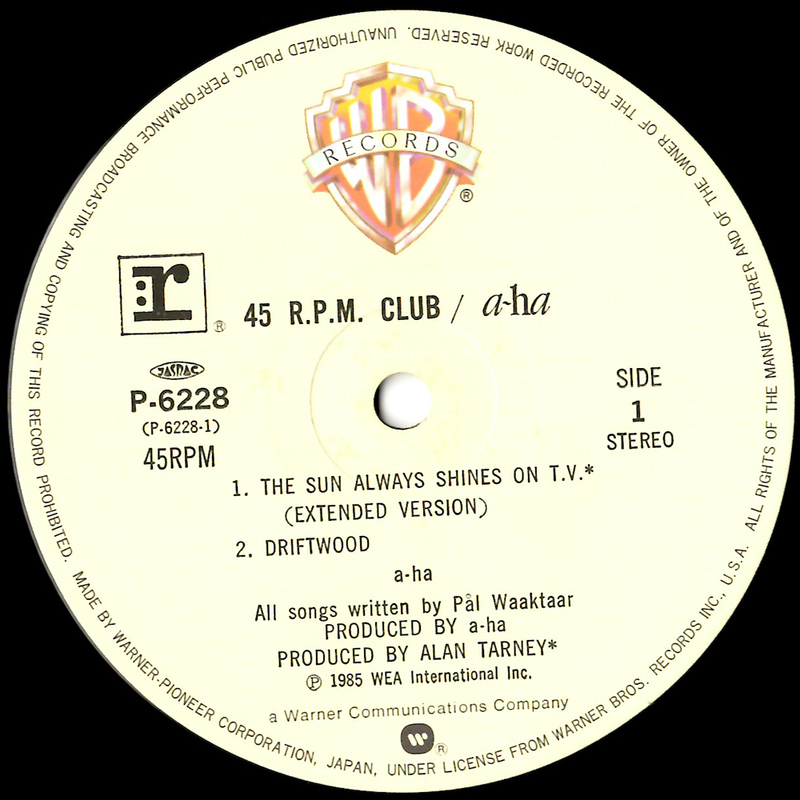 (8:27) remixed by Steve Thompson, "Driftwood" (3:06), the extended version of "Take On Me" (4:49) and the instrumental of "The Sun Always Shines On T.V." (6:38). The Japanese 12" comes with an obi strip and gatefold 12" colour photo insert.